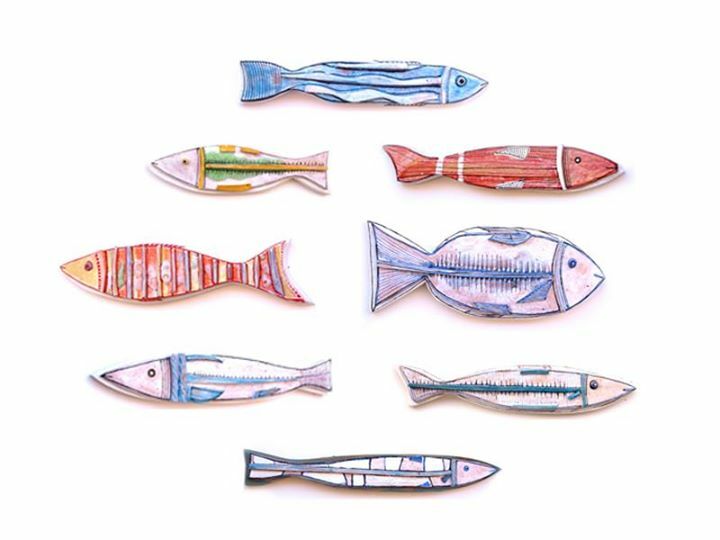 If you’re looking for coloring your home décor, here’s an interesting idea – fish. 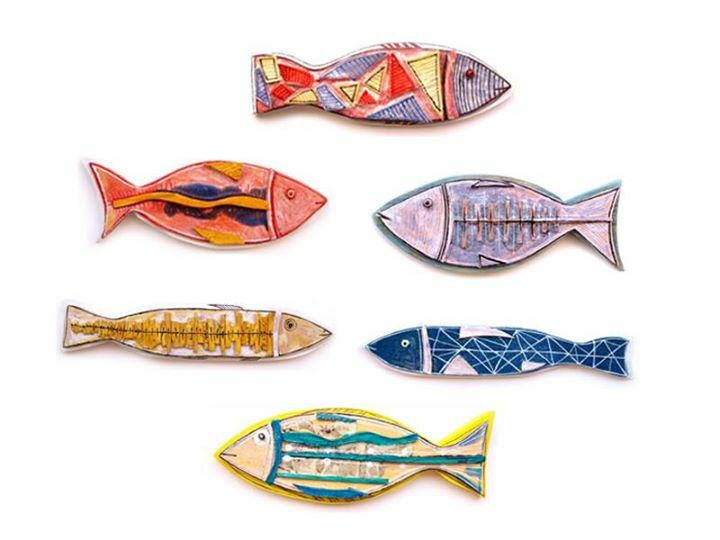 They’re blue and red and yellow and orange and green and basically – colorful. 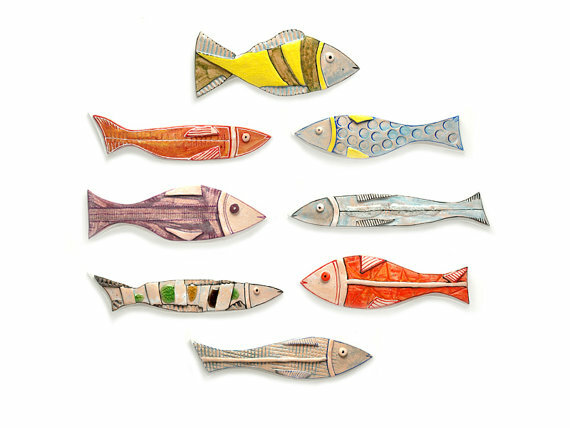 These eight fish will be enough to decorate your entire home and have a themed décor. 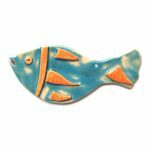 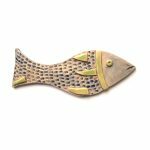 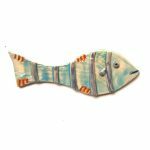 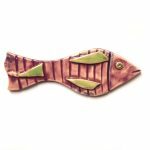 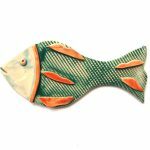 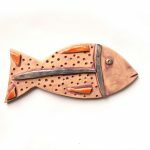 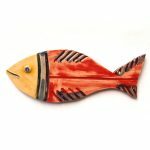 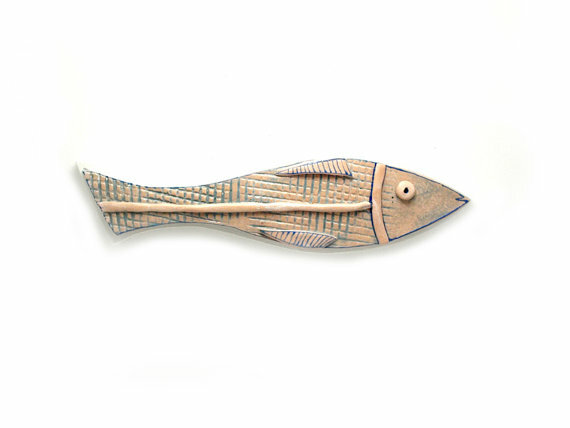 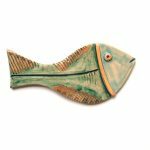 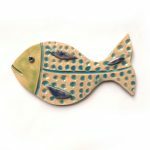 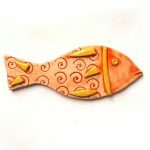 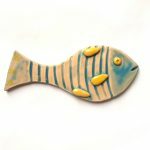 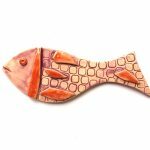 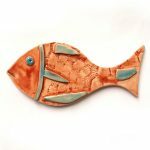 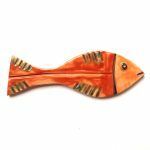 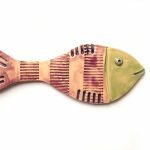 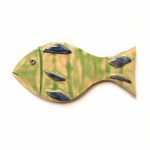 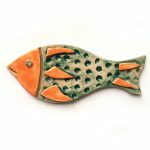 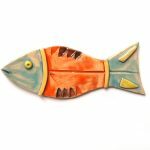 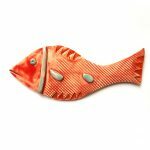 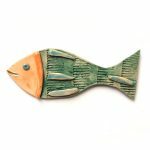 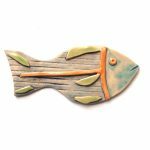 Each fish is made of white clay, and then placed on a colorful wooden board. 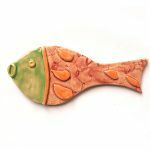 The glazing can be described in one word – colors. 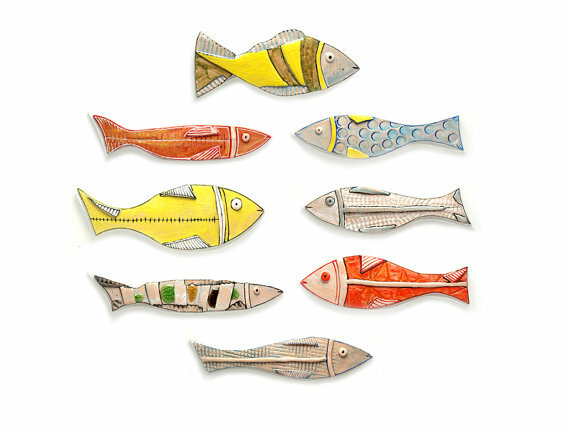 We used glass to emphasize the water effect in some fishes. 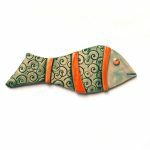 The wavy lines and geometric forms also contribute to this watery 3D effect. 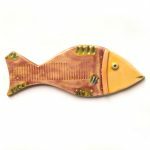 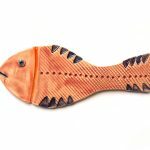 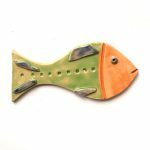 And the hook on the back makes it easy to choose each fish’s place or different combinations on the wall.